In May 2017 Attorneys Arash Homampour & Scott Boyer successfully settled an Auto versus Pedestrian case for $1.875 million for the failure of a driver to yield to a pedestrian. The Plaintiff, a grandmother of three, had a job and life that she loved. Prior to the incident, she was active and enjoyed the housekeeping job that she had had for many years. 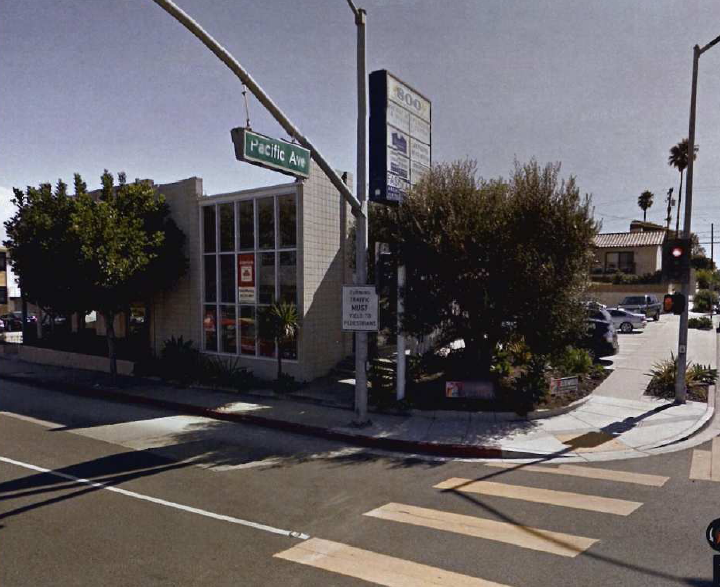 However, all of that changed when she was struck by the Defendant's vehicle while she was using the cross-walk to cross the intersection of Manhattan Beach Blvd and Pacific Ave. in the City of Manhattan Beach. The plaintiff was hospitalized from injuries caused from the auto striking her as she crossed the street within a lined crosswalk. Defendant was employed at a nearby school in Manhattan Beach. At the time of the incident, Defendant was traveling from her place of employment to another school in Torrance to attend a breakfast for educators. Defendants do not dispute that Defendant was acting in the course and scope of her employment at the time of the incident. The Defendants acknowledged that the driver was negligent and one of the causes of the accident. The Defendants also contended that the arrangement of the intersection and crosswalk hindered the visibility of pedestrians while in the crosswalk and this hindrance prevented the Defendant from clearly seeing the plaintiff. The incident occurred in the crosswalk at the intersection of Manhattan Beach Blvd. and Pacific Avenue in Manhattan Beach. Manhattan Beach Blvd. is an eastbound/westbound City street consisting of four lanes, with two lanes in each direction. Pacific Avenue is a northbound/southbound City street consisting of two lanes, with a single lane in each direction. There is not a separate left hand turn lane for vehicles wanting to turn left from southbound Pacific Avenue on to eastbound Manhattan Beach Blvd. The intersection is signal controlled in all four directions. The subject crosswalk extends from the southeast corner to the northeast corner of the intersection. The crosswalk is clearly marked and there is a crosswalk signal located on both the southeast and northeast corners of the intersection. In addition, on the southeast corner of the intersection, there is a sign facing southbound traffic on Pacific Avenue which reads, “Turning Traffic Must Yield to Pedestrians”. The incident occurred on October 29, 2014. Defendant left her place of employment at approximately 8:45 a.m. and intended to head to the breakfast event at a nearby school which started at 9:00 a.m. Defendant traveled south on Pacific Ave. for a few minutes before she came to a red light at the intersection with Manhattan Beach Blvd. She was in the number one lane intending to turn left on to eastbound Manhattan Beach Blvd. When the light turned green, the vehicle in front of Defendant went straight through the intersection. There was not any traffic heading north on Pacific Ave. and Defendant began her left turn. As Defendant made her left turn, she was looking east toward Sepulveda Blvd. which was three full blocks east of Pacific Ave. and was the intersection at which she needed to make her next turn. Defendant described the traffic as backed-up on eastbound Manhattan Beach Blvd. At the same time, Plaintiff, was walking in the crosswalk, intending to travel from the southeast corner of the intersection to the northeast corner. Plaintiff had previously activated the crosswalk signal which, as the witnesses also stated was illuminated before she entered the intersection via the marked crosswalk. Unfortunately, Defendant continued to make her left turn as Plaintiff crossed the intersection in the marked crosswalk and Defendant struck Plaintiff with her vehicle. Per the eyewitness accounts, after Plaintiff was struck by Defendant's vehicle, she fell to the ground and rolled several times before coming to rest near the south curb line of ManhattanBeach Blvd. Prior to the impact, witnesses did not hear brakes squeal and no skid marks or brake marks were noted on the asphalt. Plaintiff had no recollection of Defendant's vehicle striking her, and the next thing she recalled after stepping off the curb to use the crosswalk was waking up in the hospital. After the impact, witnesses observed that Plaintiff had an open wound to the back of her head, she appeared to not be conscious and the only sign of life was a gurgling out of her mouth. There was a large amount of blood loss and blood was coming out of Plaintiff's mouth. According to the witnesses, Plaintiff did not appear to gain consciousness before the paramedics transported her to the hospital. As a result of Defendant’s negligence, Plaintiff suffered a concussion and a number of orthopedic and other injuries. The Homampour team were able to deduce that the Defendant, who was driving to a work-related event at the time of the accident, made an unsafe left turn and did not yield to the Plaintiff in the marked crosswalk, thus resulting in the favorable settlement for the plaintiff of $1.875 million. The team also contended that the Defendant’s employer was vicariously liable since she was heading to a work event.